Digital Marketing Insider Podcast 035 – Will You Sign Your Life Away? “Before we meet will you sign my NDA?” Oh how many times have I been asked this. Running a digital marketing agency we get to see LOTS of businesses and in some cases entrepreneurs ideas for their business. Every now and again someone (usually a rookie entrepreneur or a PLC) will ask us to sign a non disclosure agreement (NDA). For those of you that don’t know an NDA creates a confidential relationship between the parties to protect any type of confidential and proprietary information or trade secrets. The problem is people think their ideas are great, and that they are the first one to have them. There are two difficulties with that line of thought..
will you sign your life away? It’s not wikileaks you know! Oh how many times have I been asked this. Running a digital marketing agency we get to see LOTS of businesses and in some cases entrepreneurs ideas for their business. Every now and again someone (usually a rookie entrepreneur or a PLC) will ask us to sign a non disclosure agreement (NDA) for those of you that don’t know an NDA creates a confidential relationship between the parties to protect any type of confidential and proprietary information or trade secrets. So for instance you have an idea for a business, you want to keep your idea secret, but you need to talk to people about it so you can get suppliers, marketing, employees etc on board, so you have a lawyer draw one up and you’re good to go…. right? The problem is people think their ideas are great, and that they are the first one to have them. 2. Unless you have patented your idea you don’t own it. Now I like contracts we use them all the time in fact, they are a necessary part of business as are the lawyers who enforce them. However usually when a rookie entrepreneur asks us to sign an NDA they have invariably done an online search for an NDA template and simply added their business name and ours to it. 2. 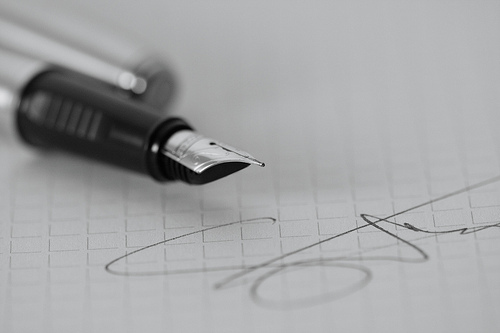 By signing such a document you risk restricting who you can do business with in the future. If you are asked to sign a document that has been drawn up for the purposes of that meeting and the confidential information is outlined then that’s a whole new ball game, this is good, they know what they’re doing and have demonstrated respect for your business by not asking you to sign your life away on a document they downloaded for £20 (or worse for free) online. If you want good companies that deal with multiple businesses to sign an NDA you’ll have to get a proper one drawn up, yes it’s expensive (£500) but that’s the price of doing business and for the record EVEN if they do sign you then have to enforce it… which will have your lawyer gleefully rubbing his hands together at the thought of a long protracted court case.